Is it about time to upgrade your Huntingdon commute? Take a look at the Jeeps, Chryslers, Dodges, and new RAM trucks for sale in Cassville. From the best-selling RAM 1500 to the popular Jeep Cherokee, we have a wide array of options in a variety of exciting colors and configurations for drivers of all preferences and budgets. After you’ve taken a look at our online inventory and have explored features like Uconnect® infotainment, contact us to test drive one of our new models near Mount Union! 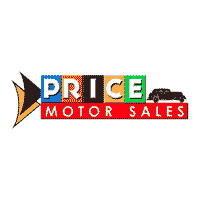 Why Choose a New Vehicle from Price Motor Sales? When you’re ready to take your favorite model for a spin, visit Price Motor Sales to experience a Jeep interior or RAM performance in person! We look forward to seeing you drive off the lot in a car you love. Need help finding your ideal Jeep SUV? Compare the Cherokee vs. Compass to see which of these popular models excites you.